When you mention St. John’s wort you could actually be referring to one of over three hundred different species. The name St. John’s wort is non-specific to a particular species, but most of the time if your hear the name, you’ll probably be talking about Hypericum perforatum. The herb exists all over the world and is a very aggressive-growing plant. It has yellow flowers which have oil glands inside. These glands can be seen if you were to hold a St. John’s wort flower in front of a bright light. The ‘wort’ in the name is just an old form of an English word for ‘plant’. St. John’s wort is one of the most well-known herbal remedies for depression, and is commonly prescribed for mild cases of depression in children and adolescents. 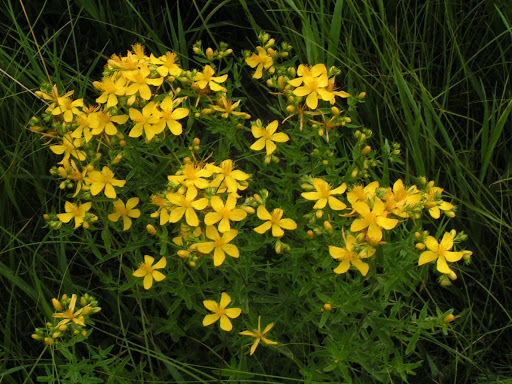 St. John’s wort is thought to improve depression symptoms by blocking specific neurotransmitters in the brain. 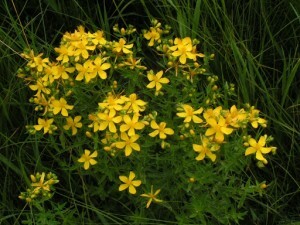 St. John’s wort can be crushed and made into an oil. This oil has been used to treat skin abrasions, muscle aches, burns, and various types of insect bites.